I am home sick today, a bad cold that is getting the best of me. 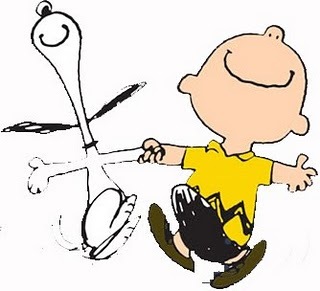 While I am sitting around I got to thinking … are they doing the happy dance at Work? You know the happy dance, right? It is when you and/or your coworkers are “happy” when a specific person is out of the office. The person while generally competent to do the job is just too difficult and does not play well with others. The kids in the sandbox are happy when he or she does not show up to play for the day. Admit it, you have done the happy dance before. Maybe folks do not physically dance, it may be a simple smile. Yet I have seen actually dancing too. No words are needed. The body takes over in sheer joy. Funny and sad at the same time. I have written before about the importance of a common language for leaders, followers and teams. We need to name the seen, unseen and most important, the unspoken. In my work culture we do use the happy dance reference. When I first heard it I recognized how this phrase can be so useful. No one should want their coworkers to do the happy dance when they are out of the office. For too many people a blind spot exists where they just do not see how their negative behavior impacts everyone around them. As a possible approach we can talk openly about the happy dance. Some may be curious and wonder if it applies to them. Others may need to be told that we do the full on chicken-happy dance when they are out of the office. When they are gone, the team runs smoother. We may miss the person’s ability, but we adapt, learn, and others step up to the plate. American workers practically live in the office. On average we take the fewest vacation days. When we call in “sick” we often are calling in “well” and just need a day away from the office only to get in early the next day. Why do we stay so close to the office? Just one man’s thought – we are afraid that the boss and coworkers will realize that we are not as invaluable as we think and they may dance when we are away. The difference today is … I am the one out of the office. I am confident that my coworkers are not doing the happy dance. Really they are not, Really. Of course there is another version of the happy dance. When you return to the office and people are smiling and show all the signs that they are happy to see you. They missed you in the office and it shows. Try this trick … as you walk down the hall quickly turn around and see if you catch anyone doing a quick dance as you pass by. Ah Ha – so this is what you do now that you no longer have Little Leaguers to manage! I love that image of Snoopy and Charlie brown. I can hear the piano playing as they dance. I work in production so, when I’m out they don’t have time to do any dancing. I’m very productive.